Happy first day of Fall! 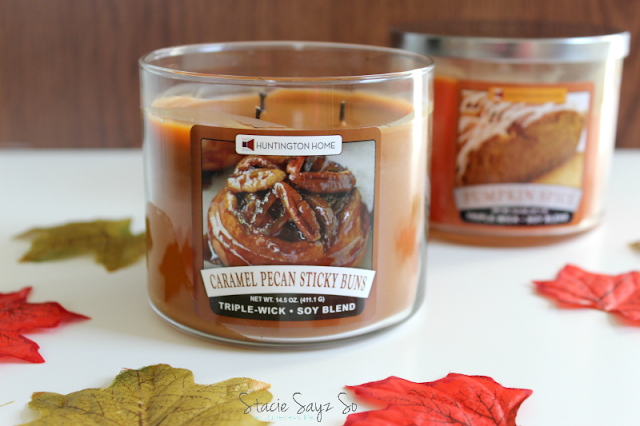 I'm celebrating by lighting a Huntington Home Caramel Pecan Stick Buns candle that I purchased from ALDI. I know what your're thinking. ALDI sells candles? Yep, and it's not only the best place to shop for deals on groceries, but ALDI has some of the best affordable candles I have seen! Huntington Home Pumpkin Spice & Caramel Pecan Sticky Buns Triple-Wick Soy Blended Candles. It's true that ALDI is my favorite place to shop for food, but don't sleep on the affordable Fall fragrances they carry. For $3.99 you get a 14.5 oz., triple wick, soy blended candle. That smells good y'all! 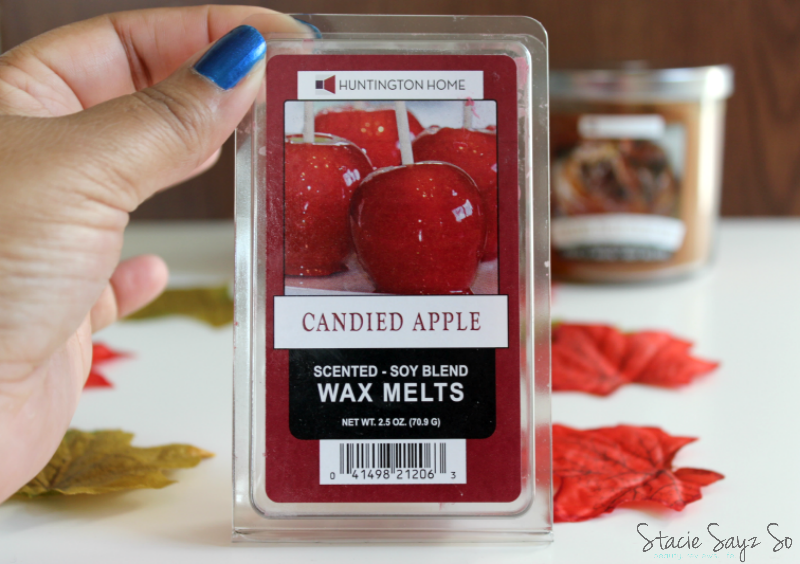 The Huntington Home Candied Apple wax melts were extremely potent. I used three, but that was too strong. 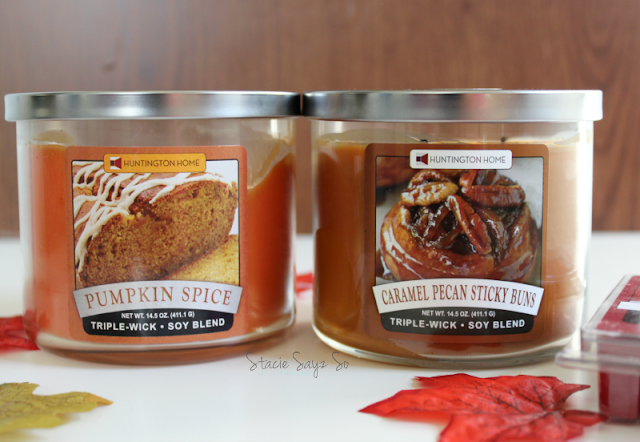 One or two will have your home smelling great! If you are looking for high a quality home fragrance for cheap, you really need to take a trip to ALDI. Seriously...like now! Have you ever tried the candles at ALDI? Now I love me some ALDI! I will say I have not yet tired their candles but next time I am picking up food I should look for one. But I gotta ask do you notice they last? Sometimes for example when I light candles from Walmart etc they skip out on fragrance in the middle you light it up and you can barley smell it again. So just curious your take on the smell lasting after several light ups! #productreviewparty on girly ! I had no idea ALDI sold candles and wax melts! Will definitely have to go to my local store and purchase some. I think I'd especially like the Caramel Pecan Sticky Buns scent. Never heard of that company, I love wax melts though! They have finally made a formal announcement: Aldi's is coming to California!!!! One of the stores will be about 30 minutes from me, in an area I head to fairly frequently (it also has my closest Trader Joes). I can't wait! Aldi candles are the BEST! My favorite candle scent I have ever found has been from Aldi 😄 Harvest Sunset!